Looking for a Used S80 in your area? 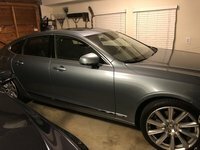 CarGurus has 535 nationwide S80 listings starting at $1,600. Now in the 11th and final year of its second generation life cycle, the 2016 Volvo S80 is very much a known entity. 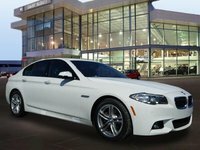 The big four-door sedan is elegant, comfortable, safe, and reliable. The design may not be flashy and the S80 won’t chew up curvy roads like some luxury sedans that can double as sports cars, but it still provides a subtly classic look and a confident ride. The T6 (and its all-wheel drive setup) has been removed from the S80 lineup for 2016. This leaves the front-wheel drive T5 only, available in either the base or Platinum trim. Other updates include 18-inch Magni alloy wheels, heated front seats, a power moonroof, and an interior air quality system, all of which come standard on both trims. A 2.0-liter, turbocharged inline four-cylinder powers the S80. The Drive-E engine generates 240 horsepower and 258 lb-ft of torque and gets 37 mpg highway/25 city/29 combined. The fuel economy and emissions are also improved when the car is in Eco mode, which utilizes auto stop/start technology. The I-4 is mated to an eight-speed automatic Geartronic transmission that moves the S80 smoothly through its paces. The transmission also features a manual mode if you want more control during acceleration and deceleration. The S80 can go from 0 to 60 mph in just under seven seconds and is capable while cornering, but comfort is as much a part of its driving experience as tight handling, and that road ease is enhanced by a solid cabin that greatly reduces engine, wind, and road noise. The comfort theme extends to the front bucket seats, which are eight-way adjustable for both driver and passenger, and on a whole about as good as it gets when it comes to long-distance driving. The rest of the cabin is also built with function and practicality in mind, although there are touches of panache, such as the frameless rear-view mirror and bright knobs. The exterior style matches the interior - straightforward and understated. The wide front and rear bumpers give the S80 a stretched look that feels poised for movement. The hood has sharp features that give way to muscular shoulders, a flowing roofline, and those signature rounded taillights that seem to bring the car even closer to the road. Exterior features for both trims include rear fog lamps, LED brakelights, manual-leveling halogen projector-beam headlights, rain-detecting wipers, chrome grille, chrome trim for the side moldings and windows, and body-color bumpers, door handles, and power mirrors, which are also heated. Standard interior feature highlights include dual-zone climate control, Bluetooth, cruise control, the Sensus information system with navigation, a seven-inch color display, mobile hotspot capability, leather upholstery, genuine wood trim, folding rear seats (which come in handy with a 14.9 cubic foot trunk) and an eight-speaker sound system with Sirius Satellite Radio (six-month subscription), HD radio, and an automatic equalizer and amplifier. Moving up to the Platinum trim adds adaptive headlights with washers, adaptive cruise control, front and rear parking sensors, a rear-view camera, BLIS blind spot sensor, lane departure warning, and a Harman Kardon Premium stereo. Given that it’s a Volvo, the S80 is loaded with standard safety features like City Safety (detects objects in front of the vehicle and can slow the car if the driver doesn’t react), On-Call Plus Emergency S.O.S. road side services, electronic stability control, driveline traction control, anti-lock brakes, side impact beams, low tire pressure warning, and the full range of airbags. After working at gas stations and car washes in high school, driving across the country more than a dozen times and even living on the road in a well-outfitted truck, Tim O'Sullivan finally started putting some of his automotive knowledge to work when he began writing for CarGurus in 2008. He's also an award-winning journalist and the Sports Editor at the Concord (NH) Monitor. What's your take on the 2016 Volvo S80? GuruZQ5PX What is your take on the 2004 Volvo S80 ? 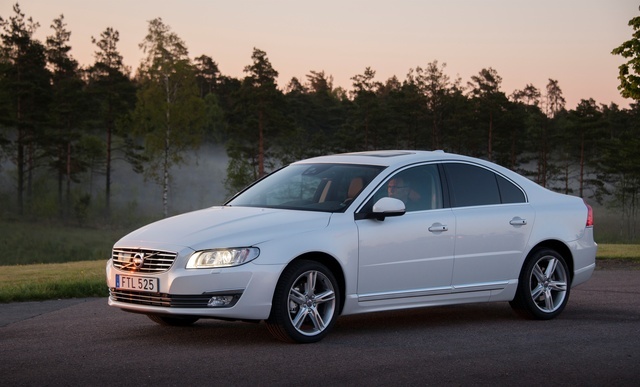 Users ranked 2016 Volvo S80 against other cars which they drove/owned. Each ranking was based on 9 categories. Here is the summary of top rankings. Have you driven a 2016 Volvo S80?